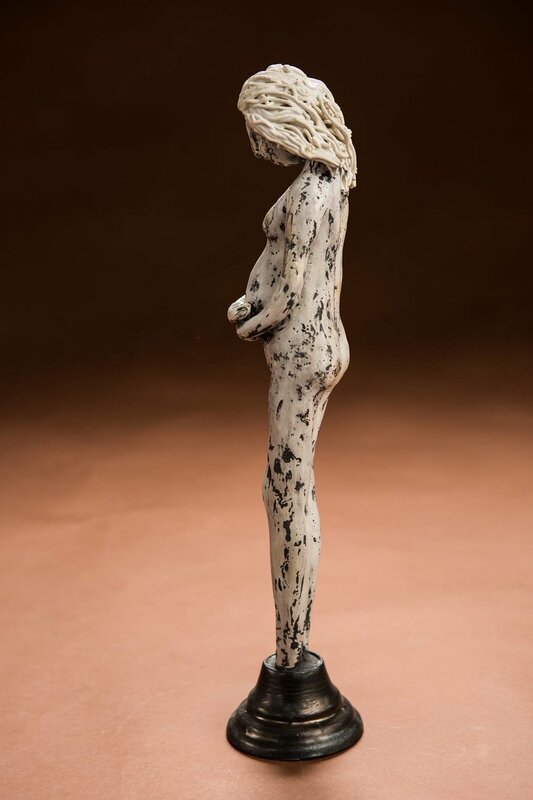 So, this 'body' of work, was inspired by my daughter expecting her first child, and my first grandchild at the end of April 2019. 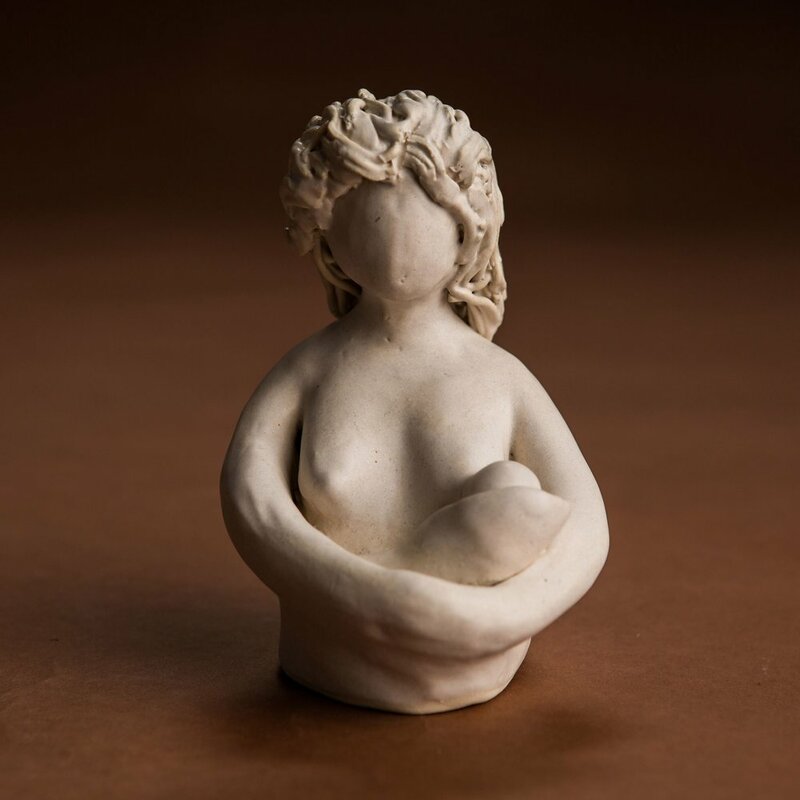 One day in the shop someone asked me if I was going make something in clay, a cup, a bowl to commemorate the birth? I instantly thought, no way.... something way more exciting than that! but hadn't yet thought 'what?" exactly. 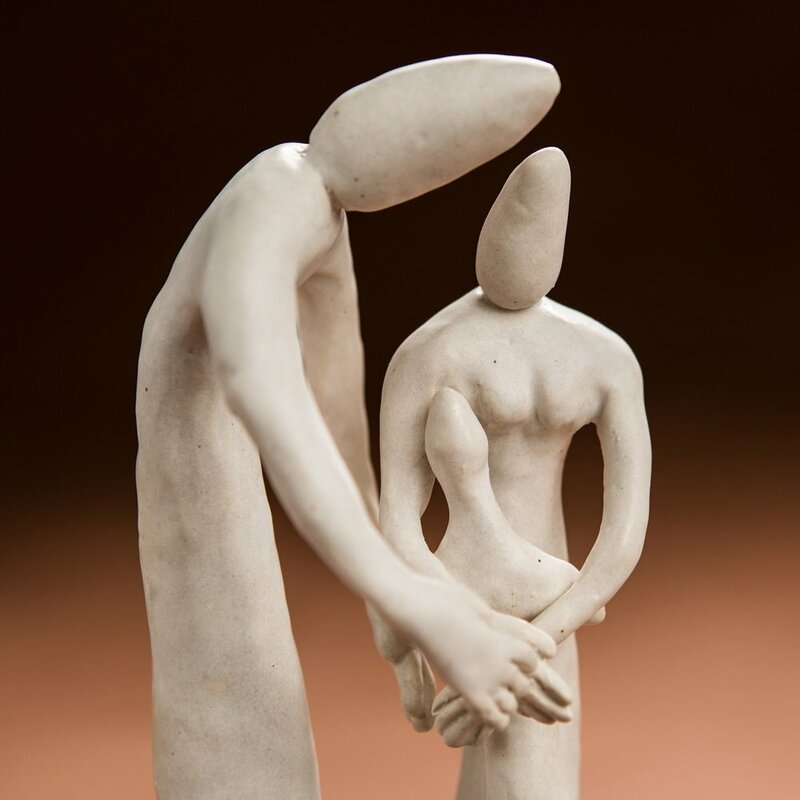 Over the Christmas holidays, prior to the birth and time away from my studio, I kept visualizing the sculptures I could create relating to pregnancy, babies, and family generally. When I returned to my studio after the holidays on New Years day, my hands touched the clay and there was no stopping me! 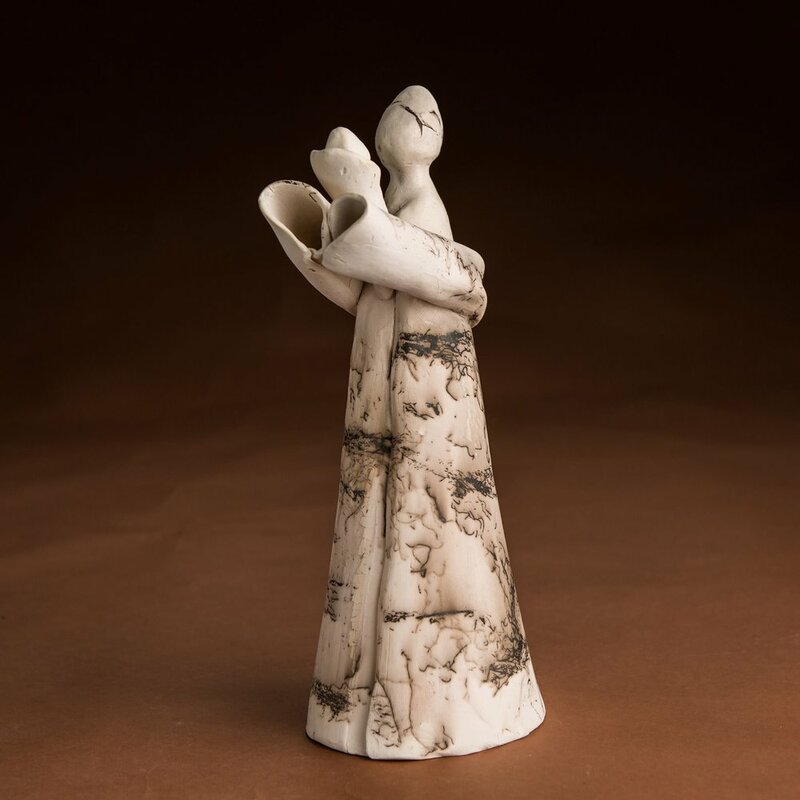 My excitement mounted with each new idea, seeing the forms materialize with my pinching, squeezing, clay covered hands Adding clay on, taking clay off, smoothing the surface with loving care. Some pieces were more technically challenging, like the taller pregnant figures, but I was totally immersed in each making process. Each one made with love, care and anticipation of that wonderful day when this baby girl arrives. I feel so blessed that I was able to express my creativity through my art and to have something tangible to show for this incredible special time in our lives.